Do you love playing Guitar? If you are looking for fully functional virtual Guitar apps for your iPhone or iPad, this article can tell you some useful and featured rich Guitar apps for your device. Most of these apps come with essential guitar tools such as chords, tuner, metronome, scales , arpeggios etc. Here you can see a nice collection of the best guitar apps for iOS device. If you are a musician or love playing guitar, you would love these apps. Some of these apps are costly but very useful for your device and if you are creative person, these apps can help you produce amazing music. Okay check out these awesome apps on your device. 1. GarageBand ( iPhone & iPad ) – One of the most useful musical instrument apps on the app store and this awesome app comes with different types of musical instruments such as guitars, drums, pianos, organs and basses. With GarageBand, you can easily play and record high quality music on your device. Very useful app that turns your device into a full featured recording studio and lets you enjoy playing virtual musical instruments using Multi-Touch gestures. With the app, you can play different types of musical instruments, record your own voice and add fun sound effects, arrange and mix your songs using sound tracks, and share your songs via email or social networks. 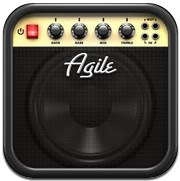 Great guitar app for iPhone and iPad users that generates realistic and high quality sounds. 2. Chord! 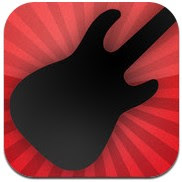 ( iPhone ) – Very powerful guitar app for iPhone that has many functions and tools. Featured rich chords and scales app for guitar, bass, banjo, ukulele and other musical instruments that has many useful features. The app uses unique technology to generate charts, extract chords from fingerings & determine fingers positions so that you can play high quality music like professionals on your device easily. Very useful app for beginners and advanced users. 3. Lick of the day ( iPhone & iPad ) – Very useful free guitar learning app for iPhone and iPad users that has many features. If you want to learn guitar easily on your device, this app could be the best option for you. The app comes with easy guitar learning video lessons, hundreds of licks, interactive tab, text narrative , backing tracks and many other useful features. One of the best ways to learn guitar using your iOS device. 4. Guitar Toolkit ( iPhone & iPad ) – Guitar Toolkit is one of the most powerful guitar apps on the app store, it comes with many features and guitar tools. The app supports all of your musical instruments such as string guitar, string bass,mandolin, banjo, & ukulele and lets you enjoy playing virtual guitar on your iPhone or iPad. Very useful and featured rich guitar app for iOS that includes tons of features such as big library of over 2,000,000 chords, arpeggios and scales , lots of sound effects & time signatures, tempo tap pad , Chord finder , chords, tuner, scales & arpeggios auto adapting function for the selected instrument & tuning and many other features. 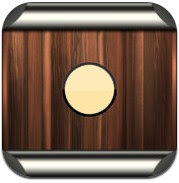 One of the best guitar apps for iPhone and iPad users. 5. 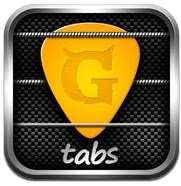 Ultimate Guitar Tabs ( iPhone ) – Great iPhone guitar app that has lots of features which can turn your device into a powerful music instrument. Ultimate Guitar Tabs is a great iPhone version of the world’s largest catalog of guitar tabs and chords with lyrics, that lets you access to your favorite tabs offline. Featured rich guitar app for iPhone users that comes with more than 600000 tabs. The app includes many features such as – guitar tools including chords library with over two million chords, more than 150000 tabs with high quality realistic sound playback, tab tools, latest popular songs, chords, notes and guitar scores for thousands of songs , offline accessibility and many other features. 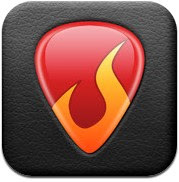 One of the most powerful guitar apps for iPhone users. 6. Tunable – Instrument Tuner ( iPhone & iPad ) – Fully functional guitar app that has clean, beautiful and user friendly interface. One of the most useful apps for musicians and it lets you learn and play realistic music, improve your skills, record your practice & performances and share them with your friends using dropbox, soundcloud, email etc. 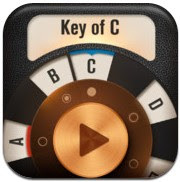 Great app that comes with powerful tuner, tone & chord generator , metronome , recorder, and many other features. 7. AmpKit ( iPhone & iPad ) – AmpKit is one of the best free music instrument apps , and it comes with more than hundred components that can turn your device into a powerful guitar amp & effects studio. Featured rich app that has many options and features such as – easy to use interface that is very useful for beginners and advanced users, realistic stereo and other sound effects, background audio, mixer and many other useful functions. Great app for iPhone and iPad users. 8. Jamn – The musician’s multi-tool ( iPhone & iPad ) – Beautiful, clean and fully functional music instrument app for iPhone and iPad users that lets you enjoy playing realistic music on your device. 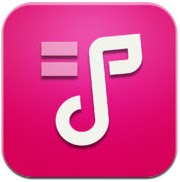 Great app for music lovers and musicians.